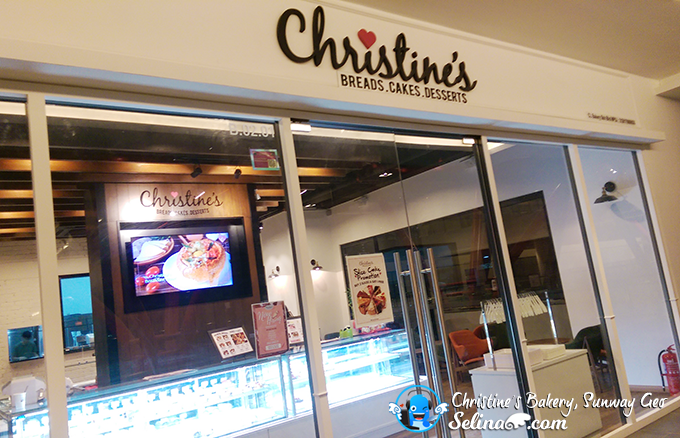 Christine's Breads.Cakes.Desserts is the French-Japanese style pastry, bread and cafe, are serving extroadinary that caught my attention. 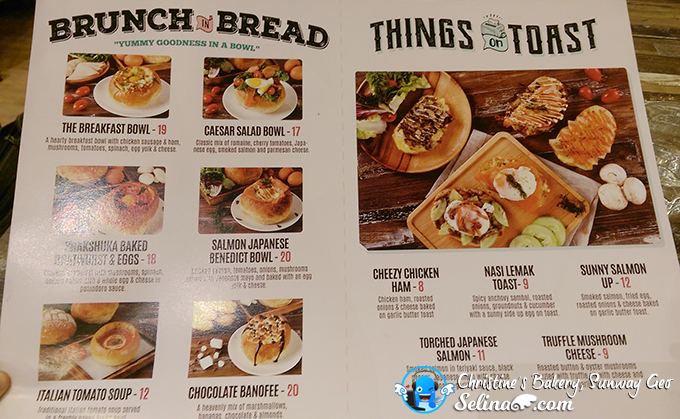 This shop has very limited spaces but they also served all kind of foods, like pastry, bread, toast, cakes, and dessert especially their signature bread bowl! 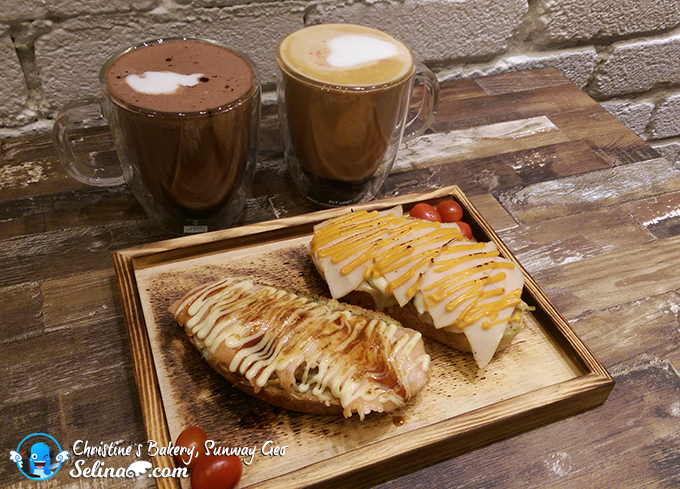 My friends and I visited a very new interesting of cafe with bread, focus to provided the healthy and delicious baked goodies to everyone who crave a handmade & local bread near the neighbooring of Bandar Sunway. 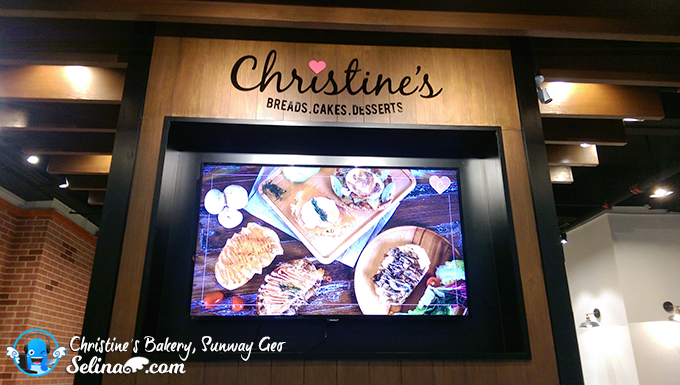 It is easy for many young and profesional people can walk to buy the bread or have breakfast at Christine's Breads.Cakes.Desserts the located in Sunway Geo, Bandar Sunway. you will notice the Christine's Bakery Cafe. I surisped by the Christine's couple's inspirational bakery from the classic French recipes and modern Japanese baking techniques to create delicious breads, cakes and desserts. 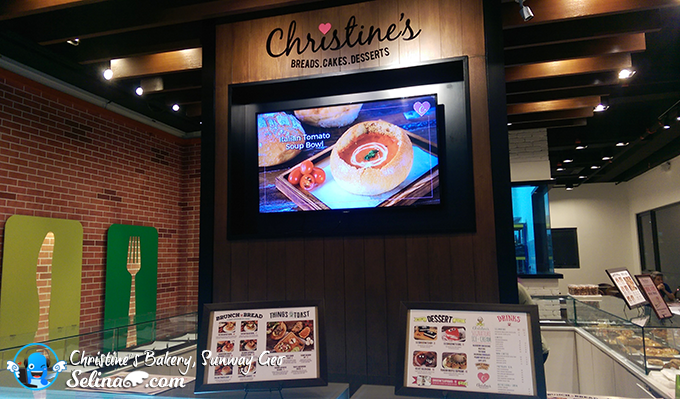 This is my first time I had a very good time relaxing over Christine's signature bread bowls, which can be treat as my dinner and dessert! It was truly yummy! You can buy which is one of your favourite bread! All cakes are very beautiful. Limited time: You buy 2 slices, free 1 slice! They used the best and healthiest ingredients, they put everything together and bake fresh in store! 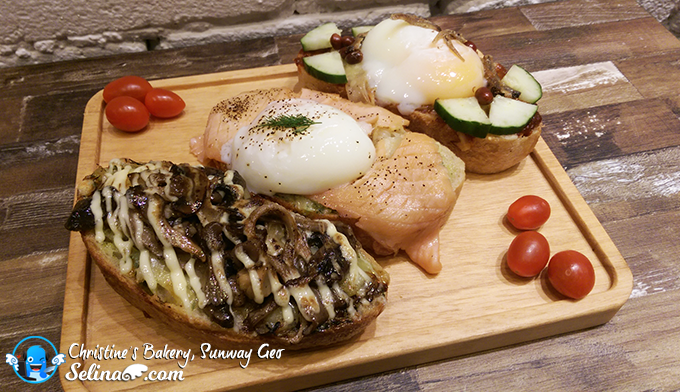 I felt that the menu give the reasonable price so you afford to buy delicious bread or eat brunch at most time. 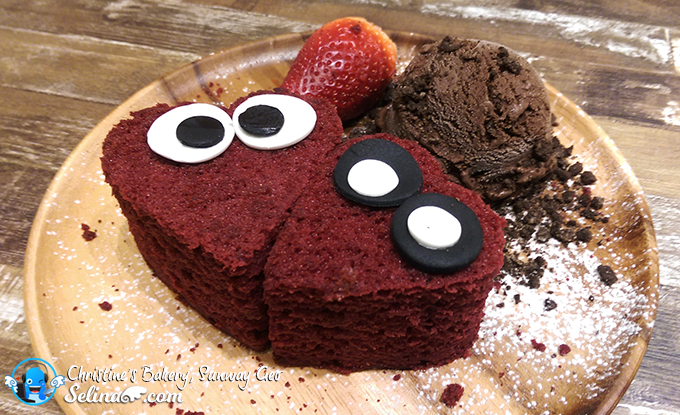 In this cafe, you and your boyfriend/girlfriend who enjoy a big dish with good dessert make you both are very full! There are some varitey of many delicious bread, cakes or coffee / tea to choose from. 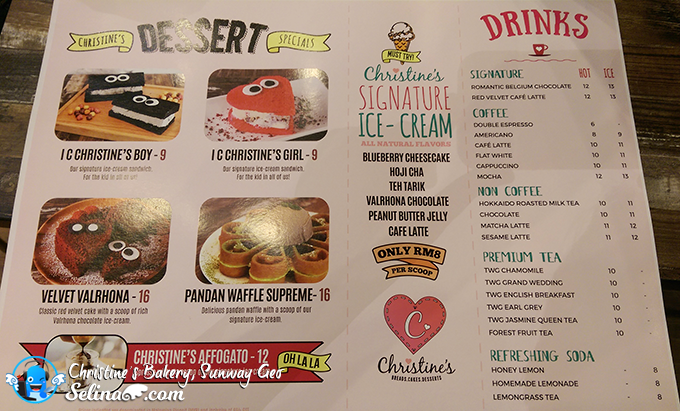 I suggested that you MUST TRY the Christine's Signature Romantic for a couple: Romantic Belgium Chocolate (for a guy) and Red Velvet Cafe Latte (for a lady) with any toast or dessert! It make you both are in love with your lovely drink, while you both feed each other! 1. The Breakfast Bowl - A hearty breakfast bowl with chicken sausage & ham, mushrooms, tomatoes, spinach, egg yolk and cheese. 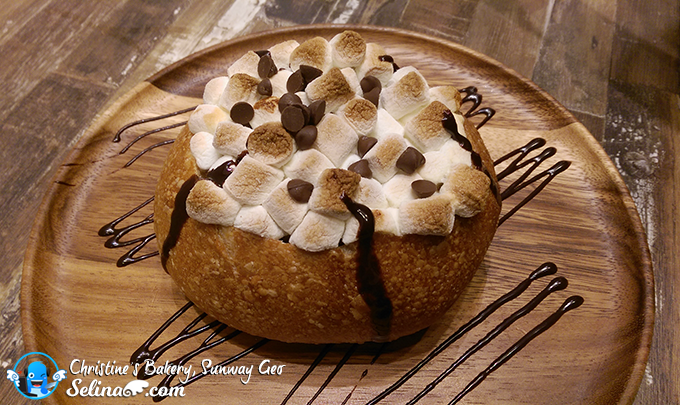 My friends and I really never try this bread bowl! Because this is a round loaf of bread can be a large portion of the middle cut out to create an edible bowl, then you can put a lot of vegetables or any meat / ham can inside this bowl! 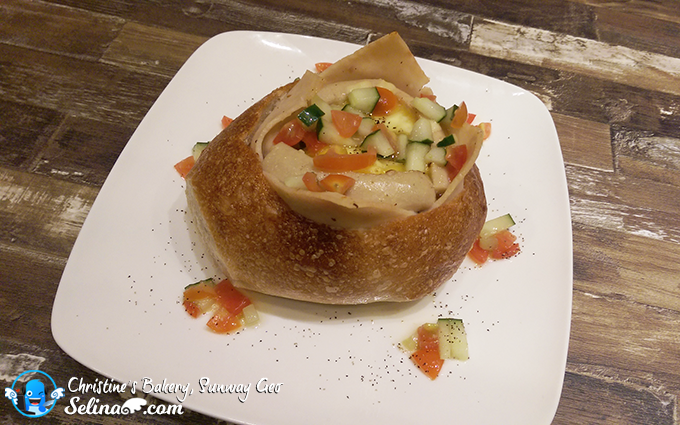 Mostly, the bread bowl only can found in the european courtries because they used for the breakfast only. 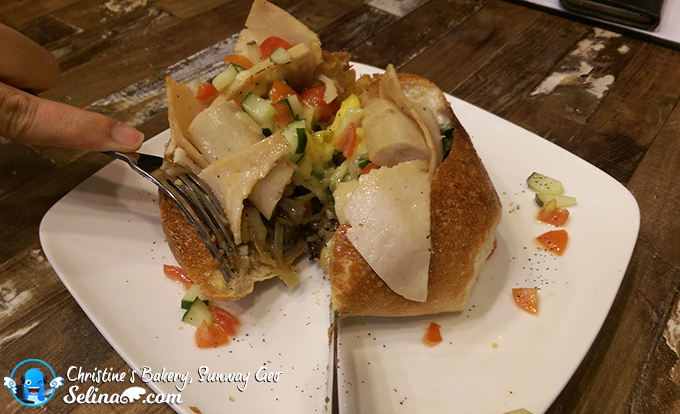 You can see many mushroom, ham and vegetable and egg yolk inside! 2. Shakshuka Baked Bratwurst & Eggs - Chicken bratwurst with mushrooms, spinach, onions baked with a whole egg & cheese in pomodoro sauce. 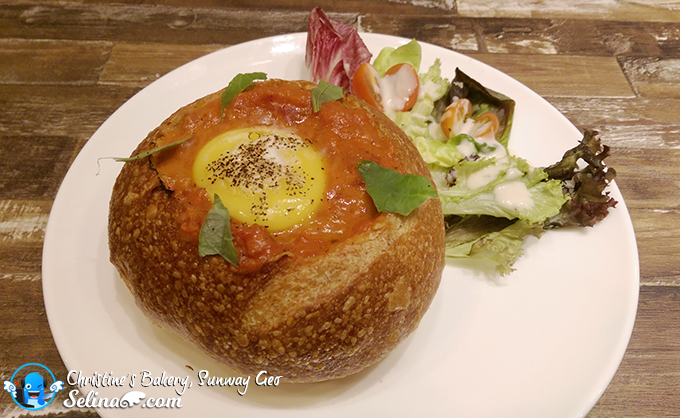 When my friend cut a half of bowl, an egg-yolk with sauces broken like a lava flow from a bread bowl! 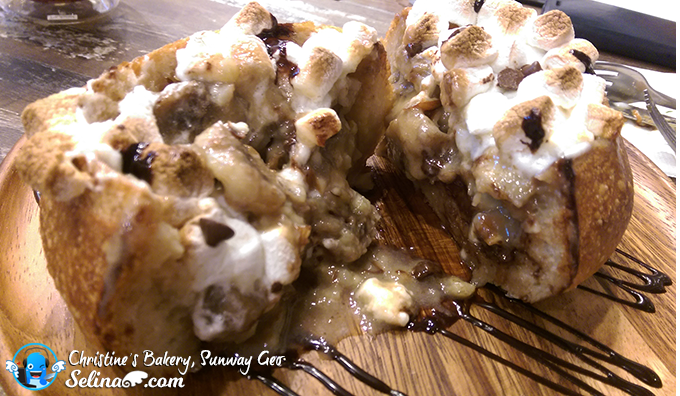 My friends and I love this Chocolate Banofee so very much because it is very best sweet marshmallows with a lot of bananas and almonds! 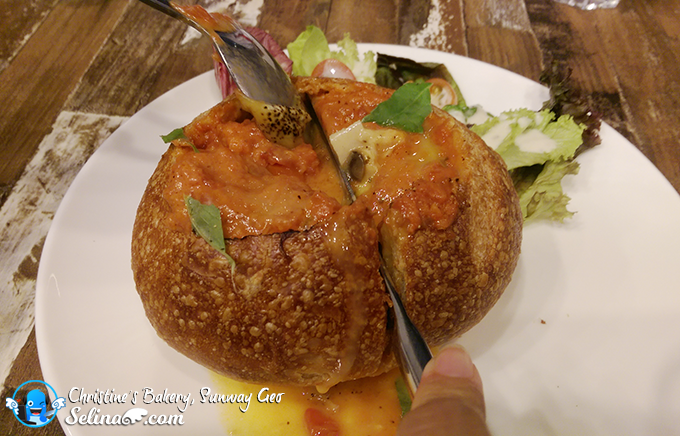 We enjoyed to eat it so very soft inside, but this bread bowl so very hard at outside. 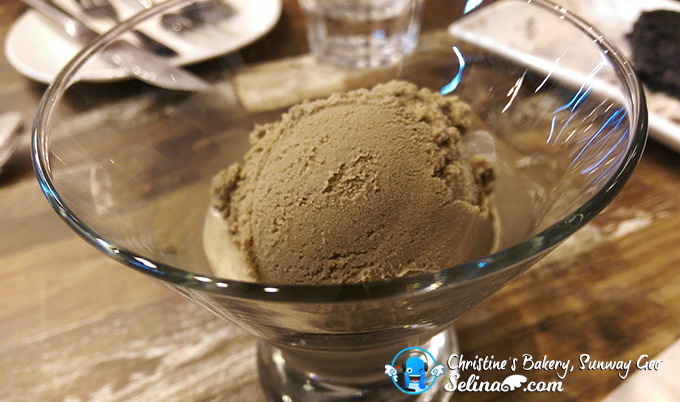 Christine's best desserts: Velevt Valrhona. It is delicious. 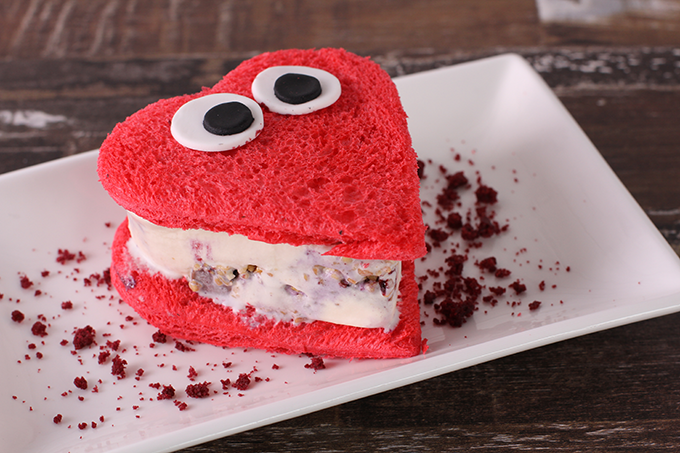 💗 It also have sweet, and sour taste, match with Chocolate ice cream. I liked it! I C Christine's Boy or Girl can used as 'love' or 'rectangle' shape - you can choose as you like. 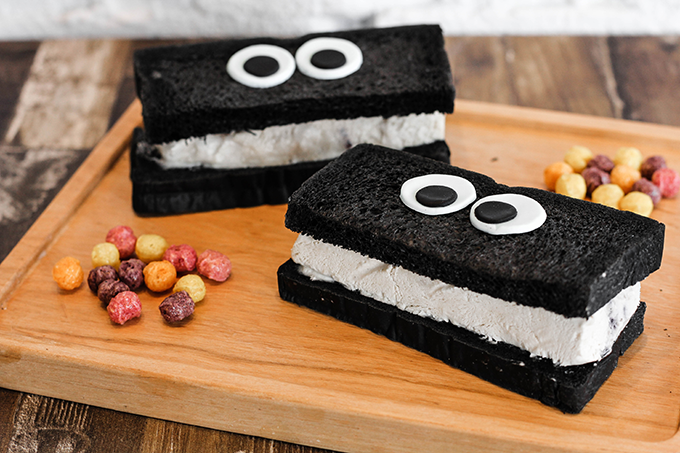 This is the Christine's signature ice-cream sandwich. For the kid in all of use! I C Christine's Girl - RM 9 only. 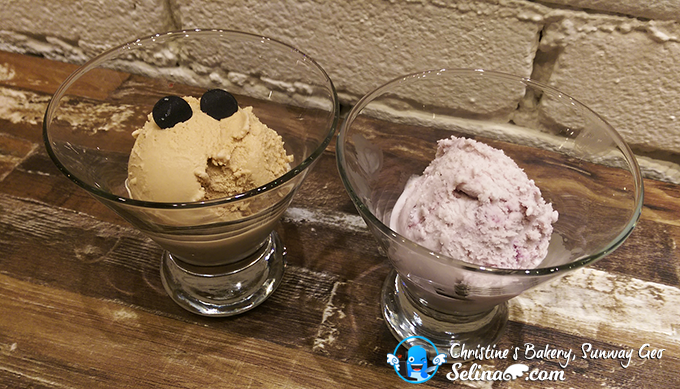 Don't miss the best ice-cream; Teh Tarik and Blueberry cheesecake, RM8 per scoop only! My favorite of ice cream; Hoji ice cream! 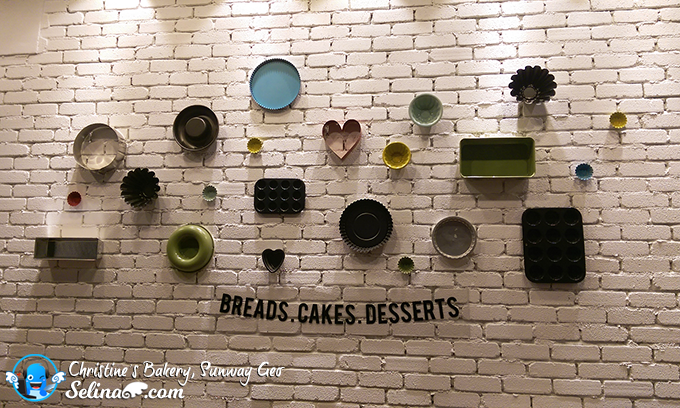 How they get this idea for their bakery cafe? Jayson (Asst Operation Manager) told us about a couple who owned Christine's bakery used to travel to the Europe countries so many times, included Japanese food that they also loved to eat the pastries or bread so mostly. 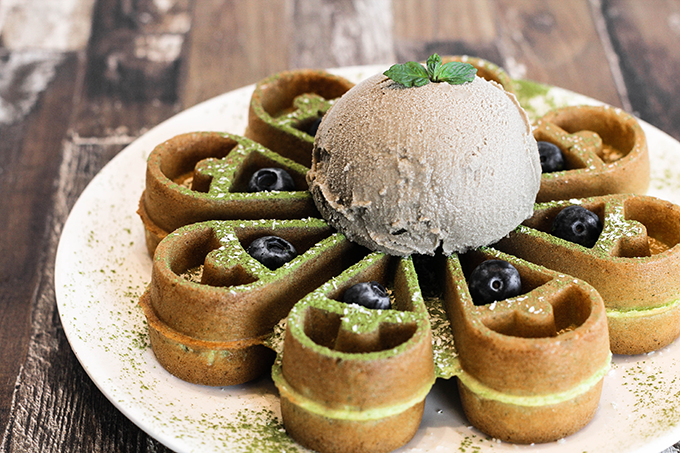 They believe that a fresh & healthy bakery is important for the customers who enjoy the local food with their ideal French-Japanese of dish, for example, they created a newly nasi lemak toast. 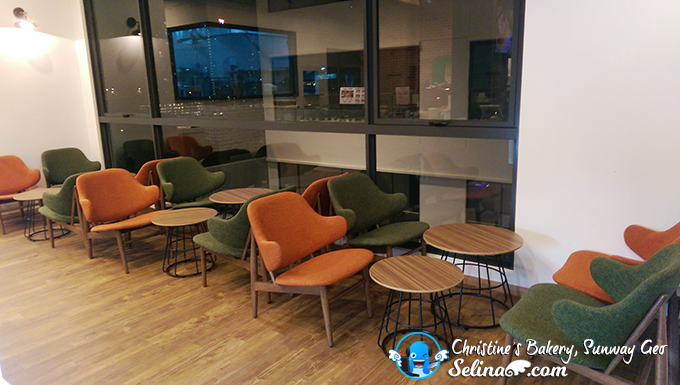 Their environment looks so cozy and comfortable for a group of friends or families can hang out to chat-chit, and the students can enjoy to read books or focus on their assignment in the quiet area too! 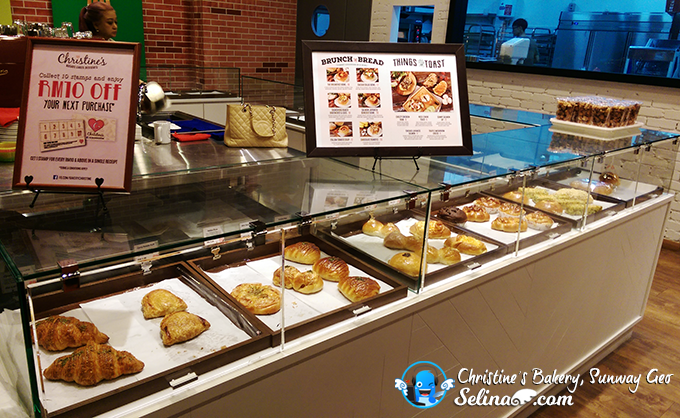 Christine's Bakery offers their own handmade bread bowls, brunch, lunch and desserts in a beautiful, welcomeing you to grab the chocolate, coffee drinks and baked bread in the morning... Or you and your friends can have a enjoyable of tea and dessert/cake in the afternoon. Before you leave, you better to get the delicious bread for breakfast tomorrow. 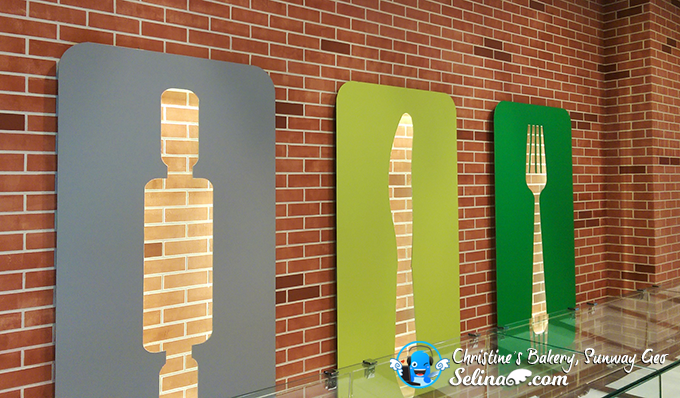 Come to dine at Christine's Breads. Cakes. 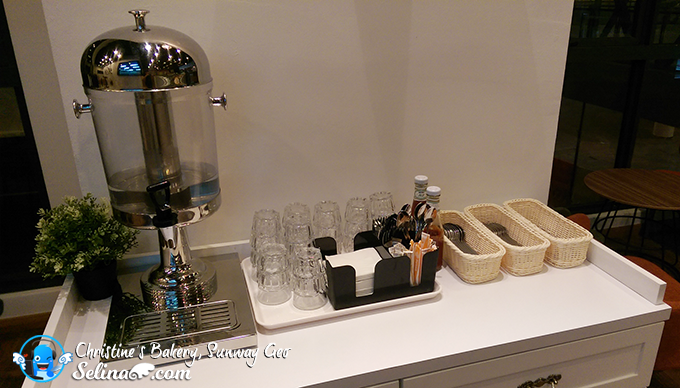 Desserts, the French-Japanese style inspired bakery cafe! You'll love the mouth-watering breakfast and brunch. 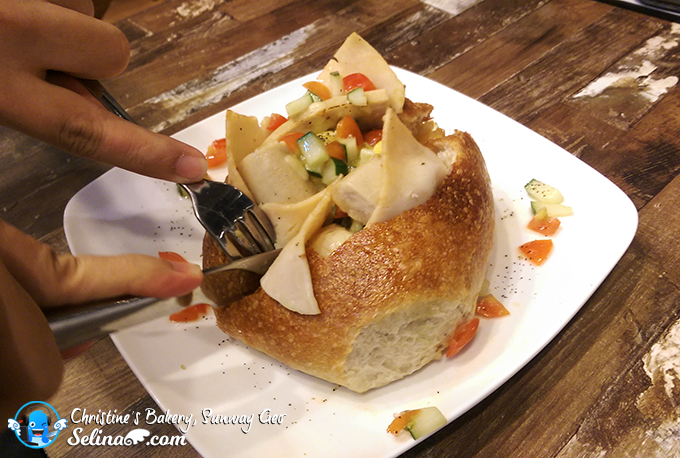 When you are in Sunway, you just stop and drop for Christine's bakery to relax and enjoy their concept of brunch or dinner! i love the concept and the idea of this place! And that breakfast bowl looks amazing! Will definitely visit this place! Bookmarked! OMG! I would love to try French and Japanese pastries and desserts. 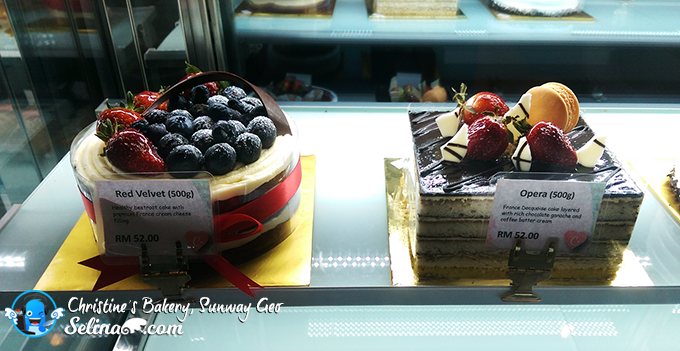 I would love to try the Cakes so beautiful and look so yummy! I am so taken by these cute pastries and desserts. 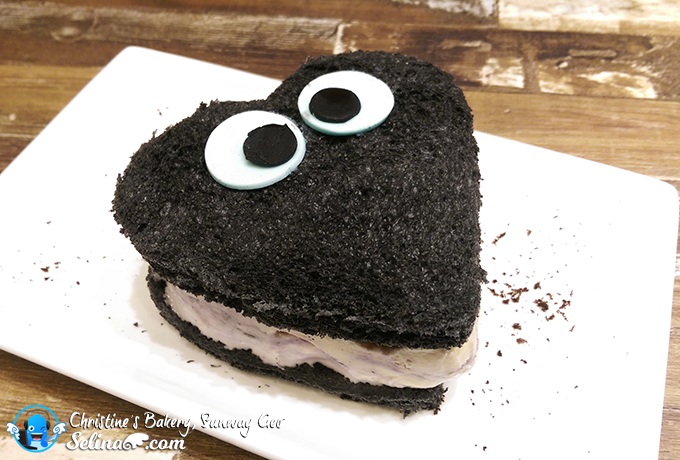 The velvet cakes in heart shape and those with huge eyes are so cute, how to eat them? Want to go and take photos lah. I like the bread bowl idea. Makes the food look so unique and delicious. Omg this shop looks heavenly! 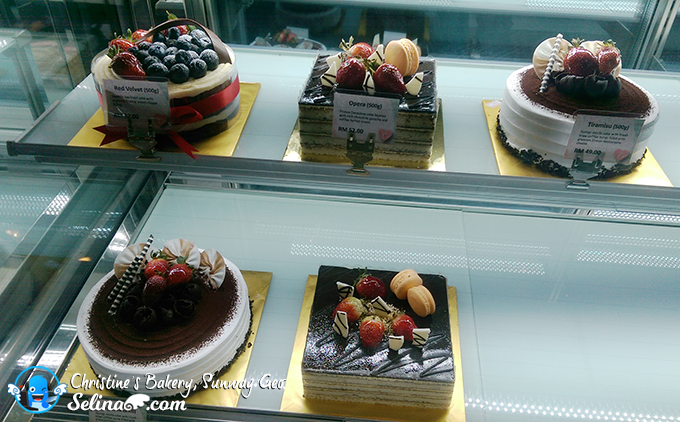 Those cakes are very pretty to eat :) Yummy! So many different kinds of desserts and pastries to try! I am really loving this place! It has all my favorite desserts in one place.